As a cinematographer on feature films, I’m responsible for the look of the film and for taking the director’s vision and translating it visually—getting inside his or her head and interpreting how that person wants the story to look and feel. In the simplest terms, the work my crew and I do to choose the right cameras and lighting, select locations, set up for each scene, and operate the equipment to deliver the visuals transforms the words of the script into cinematic entertainment. As you can probably imagine, building teams of professionals to do this work skillfully and efficiently—often across multiple, wide-ranging locations and under the financial and time pressures of a film’s production cycle—can be challenging. Part of my responsibility is to hire the lead team member for the three departments that I manage—camera, lighting, and grips—and then delegate the staffing of each of those departments to that lead. All of us work as contract or freelance employees, so the team has to be built from scratch for each project. While the responsibility of managing this human resource aspect of my job is not something I envisioned as an artsy film student, I’ve come to embrace the role—it’s truly satisfying to work with interesting people and create a professional environment that’s positive and fulfilling for the team that comes to work for me each day. Over the years, I’ve come to realize that my approach to building and managing crews is not the norm on film sets. Though these positions are essential to the film’s production, these professionals are often not treated very well and don’t feel valued. Many film sets are antagonistic, and crew members can be miserable. Terrible stories circulate about sets where yelling and even physical altercations are standard. This is crazy to me—we’re all so lucky to be doing this work. Why wouldn’t we want to create a positive environment and enjoy our time on set? That just seems like a better way to live. With that in mind, I do my best to bring together people who I know will create a positive environment and do good work and then manage them with respect. The foundation of teams is, of course, the people you bring together. When I was young I just wanted to work with the most experienced people, but I learned that even though many of these people have incredible credits to their name, they may not be the best people for the job. Early on, I hired some people who weren’t team players or whose egos were really big or who were aggressive or antagonistic or dishonest. For me, character has become a priority; it has taken decades, but I’ve built a list of stellar human beings that I draw from now when I build my teams. I’m lucky I have found these people. Once assembled, my approach to managing my crew reflects my own personality and the influence of mentors I’ve learned from over the years. I have a naturally calm demeanor, which determines how I interact on a regular basis, and I owe a lot to my experiences working with a friend from film school, a director named Zack Snyder. We’ve worked together on many movies, and early on I noticed the respect he extends to everyone and how that impacts the tone on the set. He truly values each person’s insight and treats people well. I don’t know how conscious I was in the beginning of developing a specific style that reflected that ethos, but once I became conscious of the impact and value of that environment, I made it a priority to lead in creating that People First dynamic. With the right team in place and a shared satisfaction in our contributions, we’re able to be productive and efficient on set. With an average budget of $1M per day, that makes a big difference. As I watch my crew work, it’s also satisfying to see the way the group we build is perceived by the broader team as they contribute beyond their responsibilities. There can be inter-departmental strain on some sets, but my team will generally offer to help others, and I can see the surprise this evokes among people who aren’t used to being supported beyond their own department. At the end of the day, even with the intensive planning, preparation, and team building, the reality is that each production is really a circus tent of craziness. Most of the time we’re just trying to keep our heads on straight. But if my team can be some part of reigning in the chaos and delivering an end-product that we can all be proud of, that’s a great feeling. I try to accept the challenge of each new project, carry out my role with grace, and make people feel good about the work they do each day. 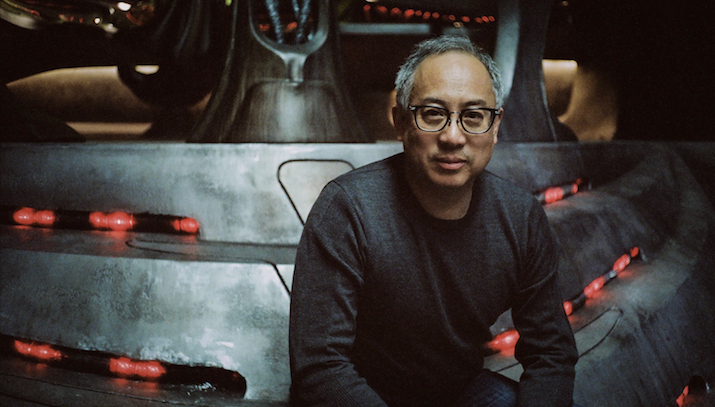 Larry Fong is a cinematographer best known for his work on 300, Watchmen, and Kong: Skull Island, among others. He is an active member of the American Society of Cinematographers and was a speaker at Tugboat Institute Summit 2018.